This is one of several “Atmosphere” recordings Lorne has made, soft, easy listening piano, with one exception. 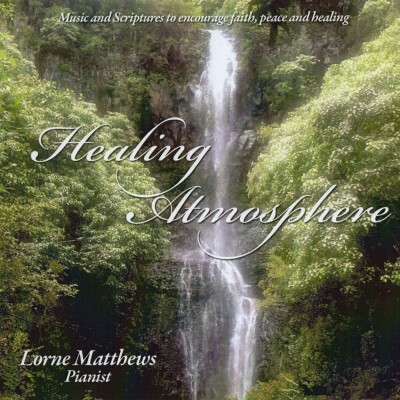 On this CD, Lorne Matthews quotes a large portion of Bible verses that speak of “healing” along with the music. There are times when the listener is given the opportunity to relax, rest, pray, meditate, etc. while Lorne plays just the piano for that atmosphere; such songs include “Great Is Thy Faithfulness”, “The Old Rugged Cross”, “The Stranger of Galilee”, and “God Will Take Care of You”. All the verses are listed online via the link provided below and on CD so the listener can make a copy for reading or memorization of verses. This recording is music and Scriptures to encourage faith, peace and healing. Or copy and paste following URL into your web browser.